A t-shirt business is a great business that you can start at home with a very small investment. Ultimately it is a smart business to start as the start-up investment is small, which means that you could be able to make a profit with your business within in a few months. There are 5 products every person dreaming of starting a t-shirt business should invest in, in order to run a successful t-shirt business. Below are these essential products that every t-shirt business owner will need. A heat press is the main machine needed for transferring graphics to your t-shirts and it is the foundation to a successful t-shirt business. The heat press machine will be used to adhere your heat transfer design onto your t-shirt. A heat press will give you the best result when designing custom t-shirts that you simply won’t get with an iron. Your design will be more professional and will also last for much longer. Heat press machines also come as kits so you can expand your business into heat press designing, ceramics plates, caps, tiles, mugs and much more. Click here to see a list of some of the top heat press machines. Heat transfers are a simple and greatly affordable way to design art transfers for your t-shirt business. It will be important to invest in the best quality transfer in order to ensure that your design will stay adhered, even after many years! Simply design your art on the computer, print it out, cut and adhere to your t-tshirt with your professional heat press machine. Buying or owning a computer is highly essential for running a t-shirt business in many aspects. From working with different graphic and printing software to maintaining a business website, ordering your t-shirts, staying in contact with brands and customers and more. The computer will allow you to effectively do many necessary functions in order to deliver quality designed t-shirts to your customers. A desktop or laptop is needed to work with the required graphic design software that you will need for designing different graphics. It is important to find the right fabric blend of t-shirt, as transfer designs will adhere better to some types of fabric over others. 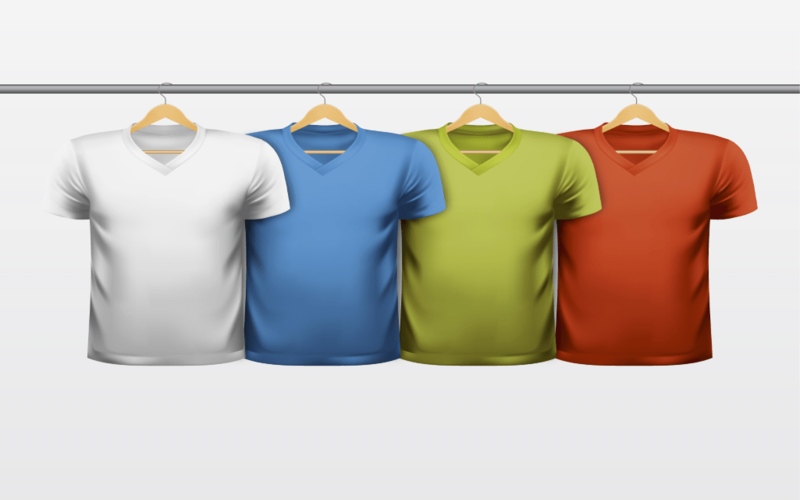 The most common type of fabric used is 100% cotton and if you prefer a blend, a 50/50 polyester/cotton blend t-shirt works really well as well. You want to sell custom t-shirts that are durable and well tailored. Some things you’ll notice is before the custom transfer is applied, the difference between 100% cotton and a 50/50 is the amount of moisture within the fibers of the fabrics. The 100% cotton fabrics will hold more moisture and will need to be heat pressed for longer durations to remove any moisture. Don’t worry though as you will quickly work out the perfect temperature and pressure setting for your choice of fabric. For heat press transfers, inkjet printers have been the top consumer choice for custom t-shirt printing needs. The printer is affordable, versatile, and has a large range availability of different style printers which make it the ultimate heat transfer printer. Do ensure that you do some research and that you invest in a printer that has the ability to create transfers that are durable. We personally love using vinyl cutting machines to both print out and cut out our transfer designs. These cutters might be more expensive than printers, but they are created with the sole purpose of being used to create vinyl and heat transfer designs. Plus they make life so much easier by cutting out your design – saving you loads of time in the long run. If you have a creative flair for making logos, memes or art on clothes, starting a t-shirt business will be the right business decision you will make. Finding the right products to boost your business may seem hard in the beginning. However, finding the best products will ensure you retain customers and have a successful t-shirt business for years to come.